William Hill was one of the first online casinos to enter the Italian market and receive official certification from Italian authorities (AAMS). As part of a large family of esteemed brands, it affords affiliates the ability to boost revenue by promoting award-winning gaming services. With Italian-speaking support, the casino fulfills an important niche market and gives Italians a natural home to return to. Generating a large degree of loyalty, William Hill Italy builds on the success and trust that have been a hallmark of William Hill since 1934. © Copyright 2008-2019 William Hill Affiliates. Terms and Conditions. 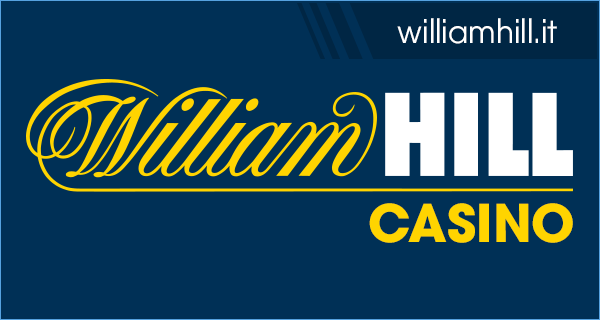 William Hill Affiliate Programme offers a wide range of products in over 20 languages, including casino, poker, bingo & sports, and is backed by professional account managers who speak your language. This allows for a wide audience to benefit from our exceptional service. Our dedicated and experienced account managers take personal responsibility for the success of each and every affiliate partner, from the largest multi-channel poker affiliate to the one-person blog marketer. All affiliate programmes, UK-based as well as those based elsewhere, have their strengths. In addition to being supported by the industry’s strongest and most trusted brands, William Hill Affiliates shines in the areas of revenue, innovation and communication. At the heart of all affiliate programmes is the revenue model, and we offer a very competitive revenue share model that was created to maximise money-making opportunities for our gaming partners. Other payment structures and special promotions exist as well, so you can choose the programme that best suits your needs. As a part of the reputable William Hill group, our partners gain from our unique expertise in marketing and support. Our affiliate programme is known for offering an ever-changing variety of marketing tools to our associates, including Live Odds banners, overlays and videos sporting the newest animated features. In terms of support, our account managers are unparalleled in their dedication and caring, maintaining open lines of communication and assistance. This means we take an active role in providing support in online gaming forums and tipster communities, advising our online marketers on everything from Facebook optimization to event promotion to enhancing Pay Per Click campaigns. Our online marketing partners benefit from our innovative management system that allows them to track earnings and other statistical details such as campaign data and player traffic, simplifying reporting and improving analysis. All-in-all, our pioneering technology is another way we set the standard in affiliate marketing programmes. William Hill Affiliates is proud of what it stands for – Integrity, Communication and Expertise – and believes this is why it is considered by many people to be one of the best affiliate programmes around.